Animal Cuts Review: Will it Really Help You Reach Goals in the Gym? Bottom Line: Animal Cuts has a lot of ingredients, and we don’t know how much of each are included. It’s a lot of hype and not a lot of results. 2. History of the Brand: How Did Animal Cuts Start? 6. Who’s Animal Cuts For? 7. How Does Animal Cuts Work? 8. Does Animal Cuts Work? 13. Any Animal Cuts Lawsuits? 16. Would Animal Cuts Work with Your Diet? 17. Verdict: Would I Recommend Animal Cuts? Bottom Line: Animal Cuts has a lot of ingredients, and we don't know how much of each are included. It's a lot of hype and not a lot of results. I’m all about trying the latest and greatest supplements on the market for weight loss and muscle building. I want to see if and how they work so I can reach my health and wellness goals even faster. I gave Animal Cuts a try for a full three-week cycle. During that time, I also took a close look at the ingredients and the science to support them. I read about the company that makes the supplements, and what other users experienced. Here’s the summary of my findings. You may be shocked at what I have to say. 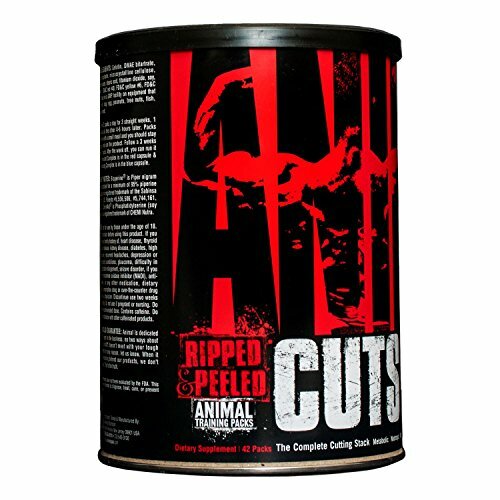 If you’d like to try it for yourself, Animal Cuts can be purchased through Amazon or using their Official Site. 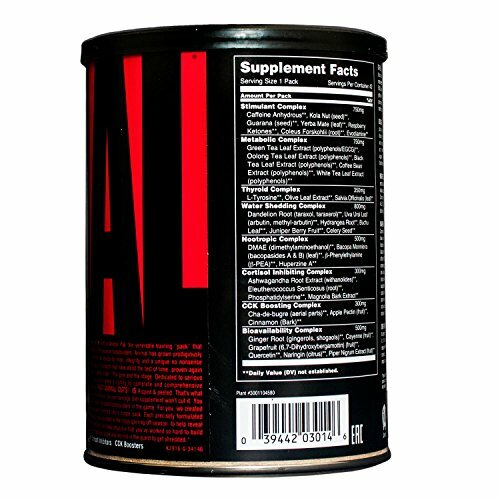 Animal Cuts is a packet of supplements that claim to be a “complete cutting stack.” Though the product could work for women, and women do use it, it’s primarily marketed to men. 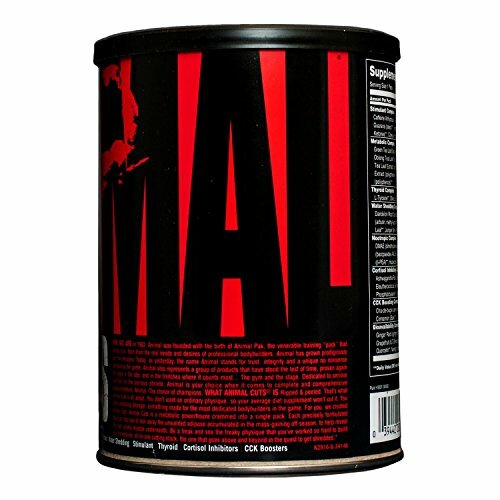 It claims to accelerate fat burning, keep your appetite at bay, and help you shed water weight. There are a lot of ingredients in each of the pills, which I detail below. 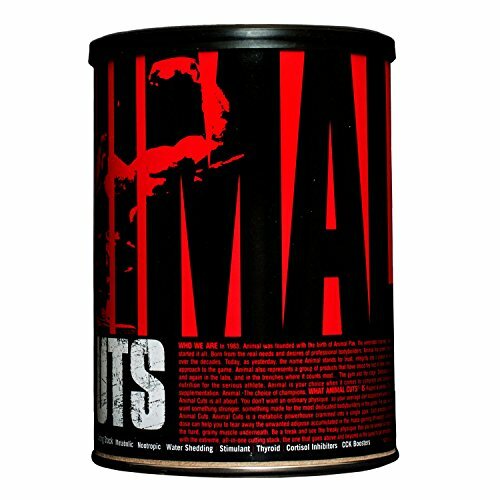 Animal Cuts is a supplement line that comes from Universal Nutrition. 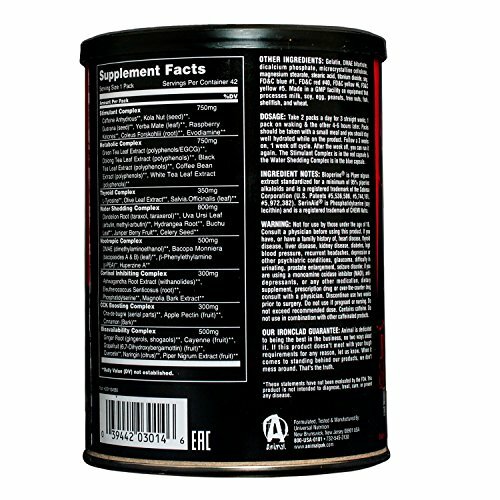 Universal Nutrition creates several supplements for weight loss, fat burning, and bodybuilding. They started in 1977. They are based in New Brunswick, NJ. Animal Cuts is nothing but supplements and protein powders. But their parent company, Universal Nutrition, also makes CarbRite Diet bars. Those are what they claim to be “healthier” sugar-free products. Raspberries, and other berries are full of ketones, which give them their flavor. 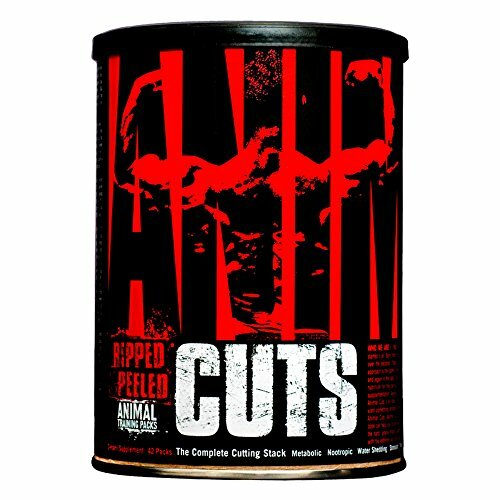 Animal Cuts is made with multiple proprietary blends, so I can’t tell you how much of each ingredient is in the formula. 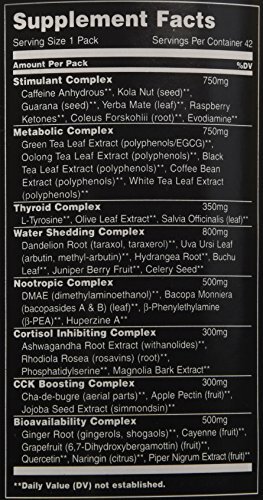 Stimulant Complex (750mg) – Caffeine Anhydrous, Kola Nut Seed, Guarana Seed, Yerba Mate leaf, Raspberry Ketones, Coleus Forskolli, Evodiamine. Other ingredients: Gelatin, Blue #1, Red #40, Yellow #6. Made in a facility that processes milk, soy, egg, peanuts, tree nuts, fish, shellfish, and wheat. I am not exactly sure where the products are manufactured. The GMP facility where they are made also processes products that feature most major allergens, so this could be a concern for some people. 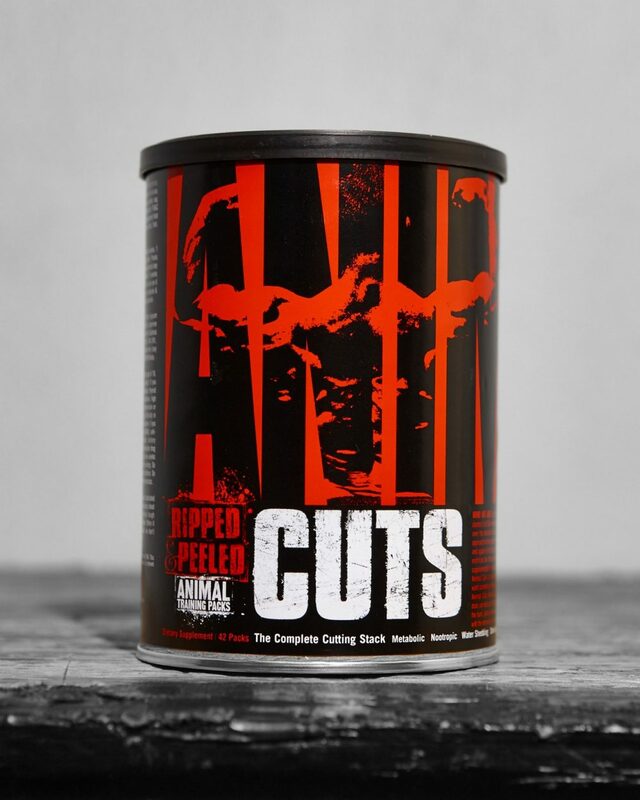 Animal Cuts is for men who want to build more muscle, lose fat, and keep their appetite under control while they work to reach their health and wellness goals. It works by flooding the body with stimulants to boost the metabolism. It also uses natural diuretic ingredients to keep the body from holding onto excess water. Animal Cuts is supposed to help keep your appetite at bay to assist with weight loss. I am not sure how well the overall packet of supplements works. I do think the stimulants are a bit much because I experienced some side effects. I know the diuretics work because I felt like I lived in the bathroom. It is wise to cycle on and off like the product recommends because you could really damage your body constantly loading it with so many supplements. That said, it does feature some clinically proven ingredients, like caffeine, guarana, and green tea. My problem is that because they are hidden in proprietary blend you cannot tell if they are made with the clinically proven doses. My guess is no, simply because you need a lot of green tea, and the blend would have to be mostly green tea to have the effective dose. I don’t really know that it helped regulate my thyroid hormones. I did feel like I wasn’t as hungry as much – but that’s probably because I was zooming around on the stimulants. I did lose weight, but I know it was water. I would have to keep taking it a while to compare the overall weight loss before I was confident in saying it was indeed fat loss. You wouldn’t really think these have a taste since they are just capsules. I found that taking them with food made the aftertaste less noticeable, but myself and other reviewers noted the aftertaste is like blueberries. I certainly didn’t complain. Anyone under the age of 18 needs to consult a doctor before taking this supplement. It is not advised for women who are pregnant or nursing. Those with a history of heart attack, liver disease, thyroid disease, high blood pressure, depression, diabetes, seizure disorder, difficulty urinating, and prostate enlargement should avoid this supplement. Don’t use this supplement with other caffeine sources. Universal Nutrition was sued for labeling their products as “Made in the USA” when they were not. The lawsuit was filed as a violation of California state law. In 2003, Universal Nutrition was sued because a professional tennis player failed a steroid test after using the supplement. The family had them tested in a lab and it showed they were contaminated with steroids. “Worked great for the first week but then tapered off and no further losses. Also made my stomach have a sour feeling despite taking with a small meal. Anyone else experience this?” – Todd F.
Animal Cuts would work best with any diet, except vegetarian and vegan because of the gelatin present in the capsule. You’ll also want to avoid this one if you’re cutting out artificial dyes. Personally, I experienced side effects. And given that you cannot tell how much of each ingredient is in the formula so you don’t know if you’re getting the clinically proven effective doses, I have to say that I cannot recommend this one. But, because it does contain ingredients that can work, I wouldn’t blame you if you wanted to try it for yourself to see what happens. There are a lot of promo codes available, like this one for 25 percent off, so you can at least save a bit of money if you decide to try it. Just be sure to talk with your doctor to make sure you’re healthy enough to try it. And make sure you get as much information as you can about it. If you start to feel off, stop using it. 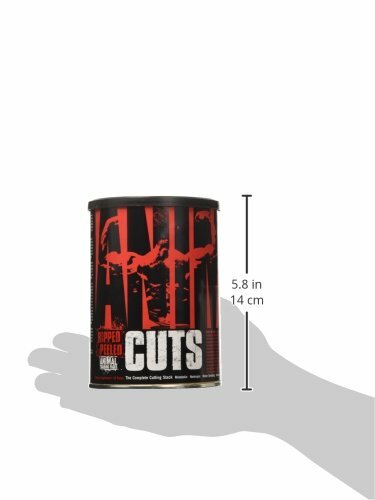 Animal Cuts can be purchased through Amazon or using their Official Site.